At first the internet thought whoever manages the JCPenney Twitter account was drunk, but no, they planned the whole thing! Not only was this tweet genius, but Hamburger helper decided to join in on the fun. I think Natalie says it best! Remember what happened at last year’s Super Bowl? 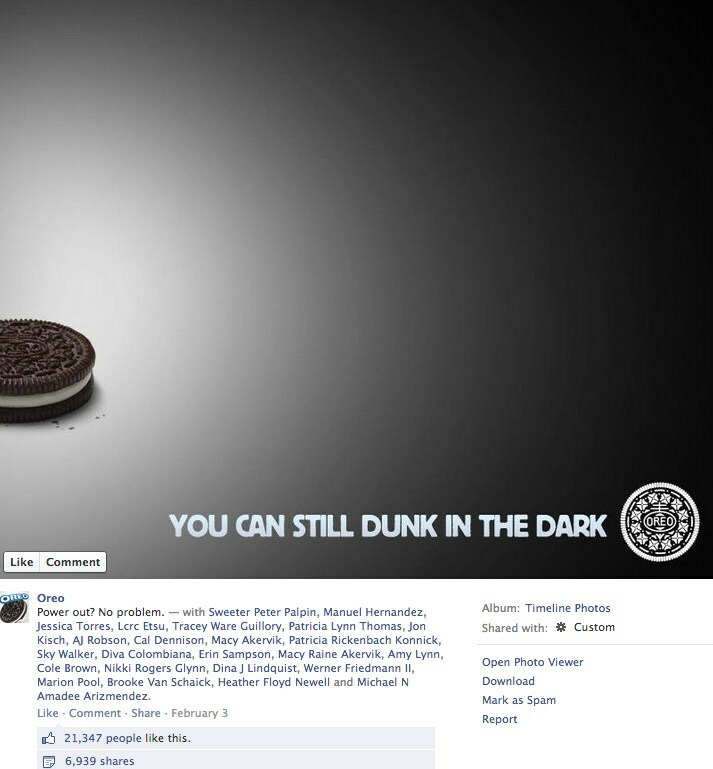 Oreos tweeted that it was still ok to dunk in the dark.